Unless you’ve been hiding away from the media for the past five years, you’ll have no doubt heard all the fuss about the proliferation of camera drones, and their availability to the general public. It’s one of those technological advances that has probably got a bit ahead of itself and has certainly caught many regulatory bodies on the hop. So much so, that much of the information about them comes in the form of bad news, such as them being used to spy on people, or causing disruption at airports. However, when used properly and with consideration, drones can be absolutely fantastic for bringing out the very best in your hotel and its grounds, giving people previously impossible views of what you have to offer. Unfortunately, every country has its own rules regarding the use of drones, especially when being used to take photographs or videos, so it’s impossible for us to say what’s right or wrong here, but there are a few things we can say with regards safety. A drone with a camera can obviously go places others can’t, so you need to ensure if you’re using one that you’re not going to invade anyone’s privacy. You may decide that you want to fly around your hotel and get a great sweeping image of the gardens, but if you have guests there and your camera happens to turn around when one of them is just getting out of the shower, you might find yourself in trouble! Many of the more advanced drones have many safety features built in, for example, they can avoid obstacles and land smoothly when they run out of power, but even so, in the hands of a reckless or inexperienced pilot, they can be dangerous. Many of them are quite big and heavy, having one land on a guest’s head could be quite damaging. In the UK, all drones must be flown “within sight,” whether they have a live camera or not, and they also can’t go above 400 feet in altitude or travel more than 500 meters horizontally. Also, you can’t fly within 150 meters of any congested area, so if you’re in a city, you need to be particularly careful. In the USA, the laws aren’t quite as strict, but they have recently introduced laws to stop people flying them by certain monuments, and it’s likely laws will be tightened in the future. 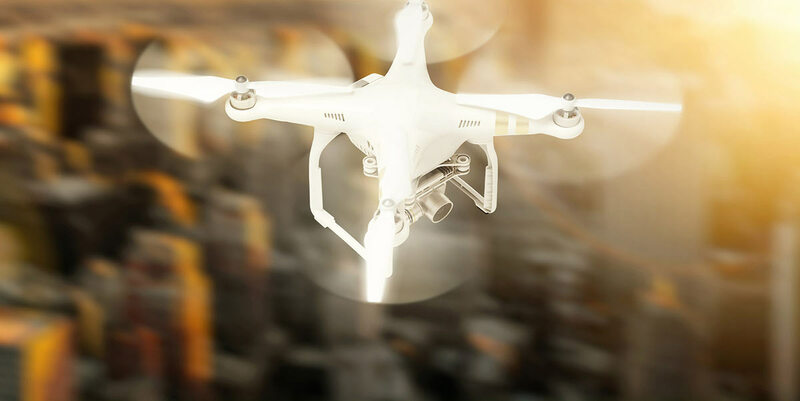 As drones become used more for photography and videos, it’s likely that training will become more important, and laws will be used to fill in the gaps where safety is paramount. It’s, therefore, a good idea to hire a professional, but there are other reasons, too. Taking a static photo or video from one viewpoint is one thing. Filming on the go, up in the air is quite another! Drone videography isn’t as simple as flying a camera around your hotel and hoping for the best, there’s a lot of preparation required to ensure you get the best shots, and then you need to edit it down to make for a compelling video that people will actually want to watch. If it’s something you’d like to consider, then give us a call or fill out our contact form and we’d be delighted to explain how we can provide you with a video you’d be proud to show on your website.